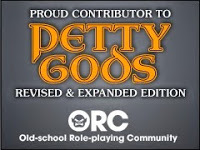 Today's Free GM Resource is a bit of a twofer from one original source. 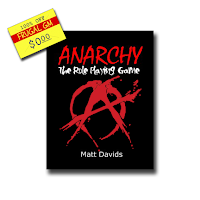 First we have the Anarchy RPG, which is a "post-apocalyptic adventure based on the OpenD6 system". You can download the PDF of the game for PWYW over at DTRPG using this link. Now to play this game you'd need to know the OpenD6 rules, which is available as a freebie download over at the Dicegeeks website. While you are visiting Dicegeeks, you might want to check out their set of free Dungeon Maps.